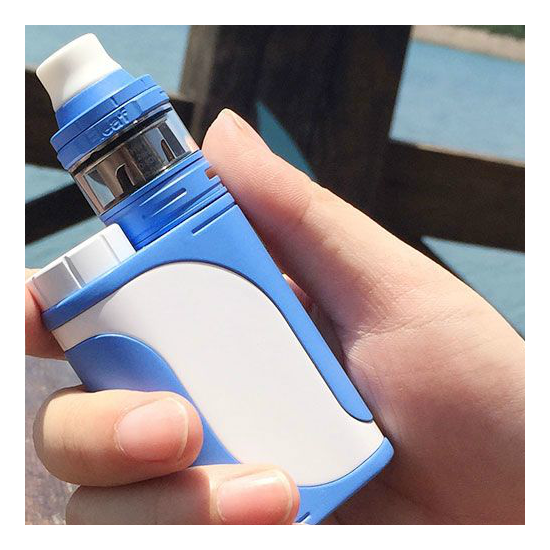 ELEAF PICO 25 FULL KIT - BEYOND AWESOME! 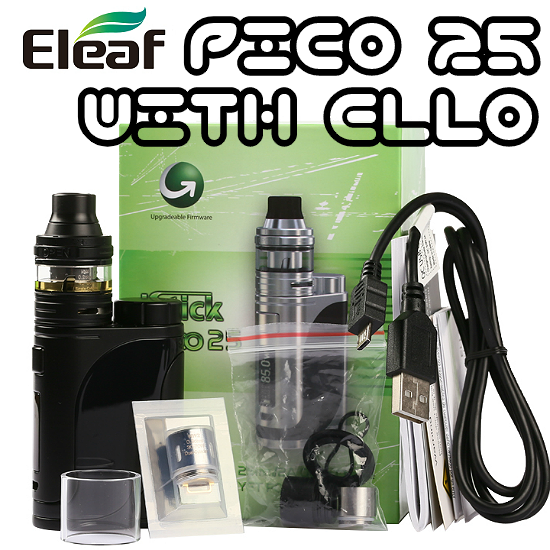 ONE OF THE MOST SOUGHT AFTER ECIGS AROUND, THE PICO 25 WITH ELLO TANK IS SIMPLY EXCELLENT AND THEN SOME! GOOD LUCK VAPERS! The winner of the lottery #1171 for ELEAF PICO 25 FULL KIT - BEYOND AWESOME! was Dorentina Iliari from Fier, Albania on Feb 5, 2019. DID YOU KNOW? Our sponsor ANTITPD.COM not only offers eliquids and nicotine base, but also has a wonderful affiliate program geared towards vapers wanting to make money - it's totally free to sign up, too! Wanna make more money? Click here! 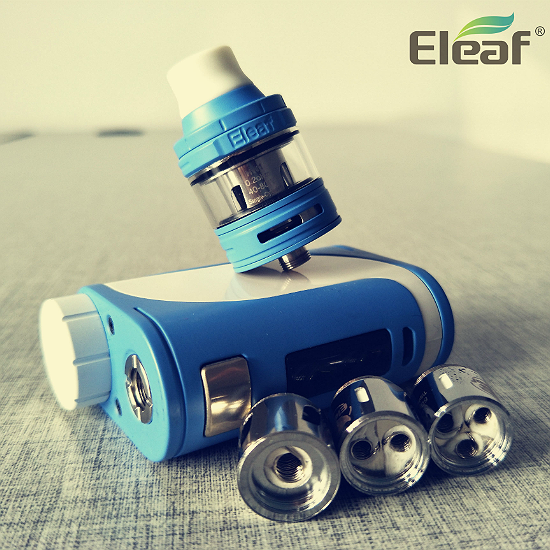 The Eleaf iStick Pico 25 85W TC electronic cigarette comes with a chipset capable of turning out 85W of maximum power and innovative functionalities such as Preheat setting to pair with the new ELLO Sub-Ohm Tank. 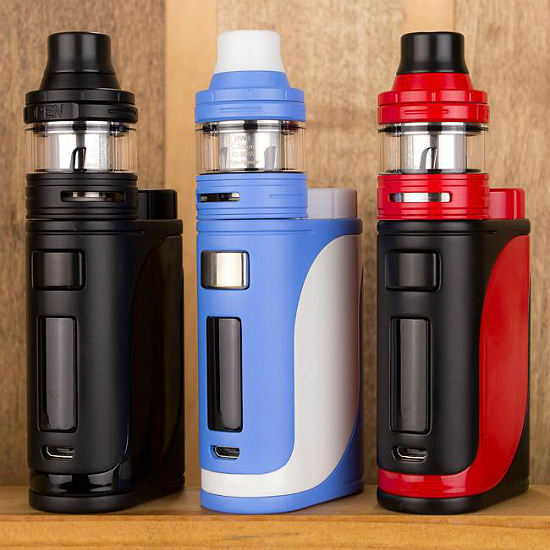 The iStick Pico 25 implements a larger form factor from the original, capable of accommodating atomizer with diameters up to 25mm while maintaing the compact, rounded contour single-18650 chassis that fits comfortably in-hand. The physical aesthetics of the device has been updated, offering a range of dual colorways and the enlargement of the intuitive OLED display for efficient operational usage. The onboard chipset is notably powerful, capable of firing up to 85W of output alongside a comprehensive temperature control suite with TCR adjustments. Furthermore, there is a preheat functionality that allows users to fine-tune the desire output for a truly versatile performance piece. The ELLO Sub-Ohm Tank is included with each kit, measuring 25mm in diameter with a juice capacity of 2mL accessed via a convenient retractable top-fill system. It utilizes the latest HW Series Coils, with the 0.2ohm HW1 Single-Cylinder rated for 40 to 80W and the 0.3ohm HW2 Dual-Cylinder with a range of 30 to 70W. Worthy? Hell yes!